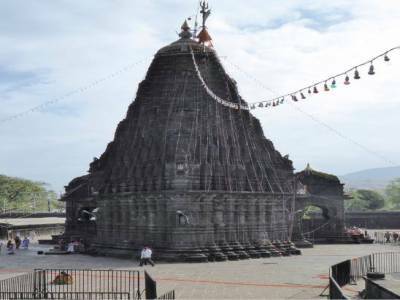 The Trimbakeshwar Jyotirlinga Temple is established in the Trimbakeshwar sub division of Nashik District in the state of Maharashtra. The deity river Godavari flows by its side and nature has endowed the pedestal of the Three Gods with ample abundance. The legend tells a tale behind the emergence of this particular Jyotirlinga. There was a time when a great famine was causing plunders on the earth at that time by the grace of Lord Varun, Sage Gautama was able to feed fellow sages. Seeing the sage undaunted by the famine, lord Indra made heavy rain to reduce the power of Gautama. But fate did not seem to turn away from Gautama. One day Gautama killed a slender cow for grazing on his pastures. The cow was Lady Parvati's friend Jaya. To wash away this sin, Sage Gautama made prayer to Lord Shiva in penance. On being satisfied, Lord Shiva let River Ganges flow from the locks which washed away Gautama's sin and the Jyotirlinga was emerged to keep the place verdant. 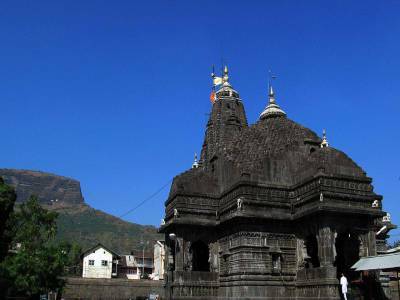 The shrine of Trimbakeshwar is one of its kinds and is located on the trifecta of hills. This black stone shrine has three tops and faces representing the three esteem gods, Brahma the creator, Vishnu the proprietor and Shiva the destroyer. The Jyotirlinga is eroded and has been crowned with a gem studded golden crown. 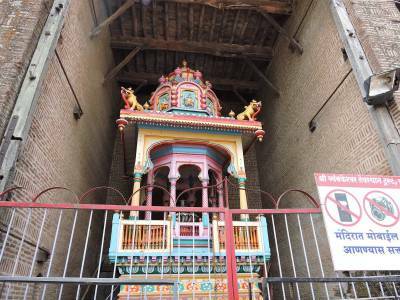 The shrine is remodelled by Peshwa Balaji Bajirao, also known as Nanashaheb. 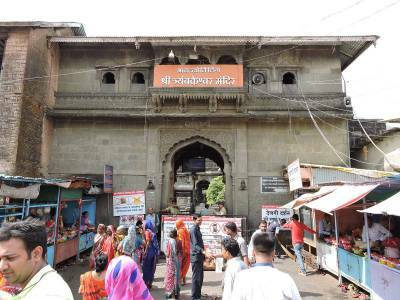 To reach Trimbakeshwar the city of Nasik is the nearest transport hub which is just a 40 KM drive away from the town centre. 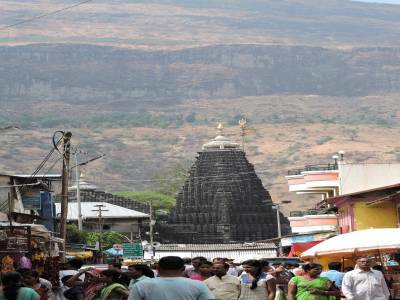 Get quick answers from travelers who visit to Trimbakeshwar Jyotirlinga.